Course Website: Official Website - Visit Desert Mountain (Geronimo)'s official website by clicking on the link provided. 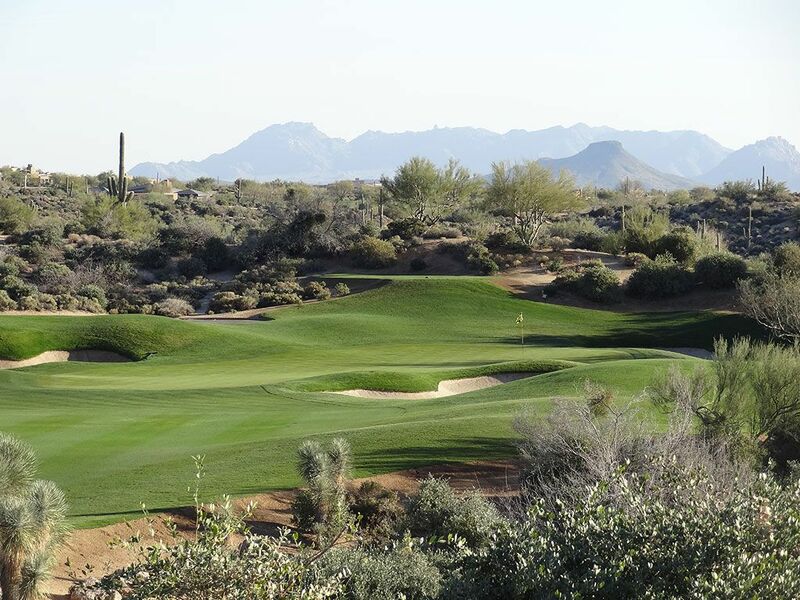 Accolades: Ranked 6th in Arizona on Golf Course Gurus' Best in State list. 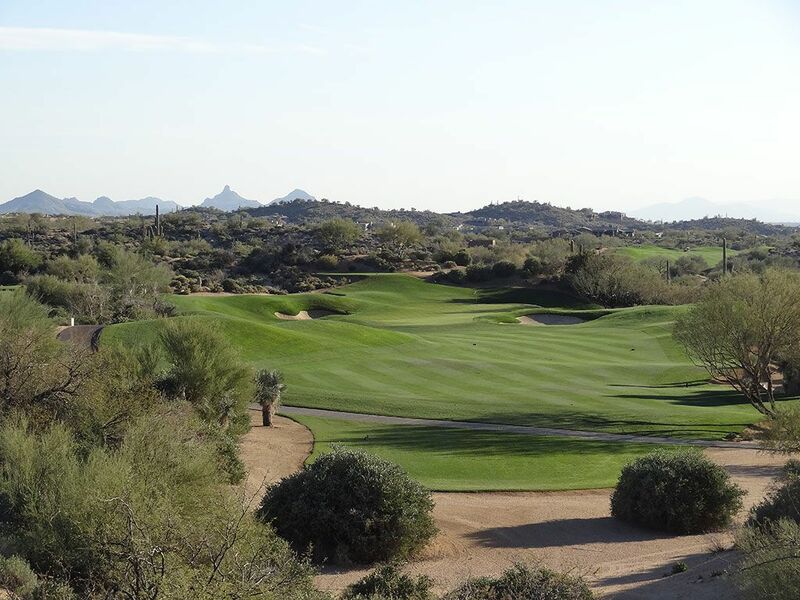 What to Expect: The Geronimo course is one of six Nicklaus designed courses found at the prestigious Desert Mountain Golf Club located northeast of Scottsdale. 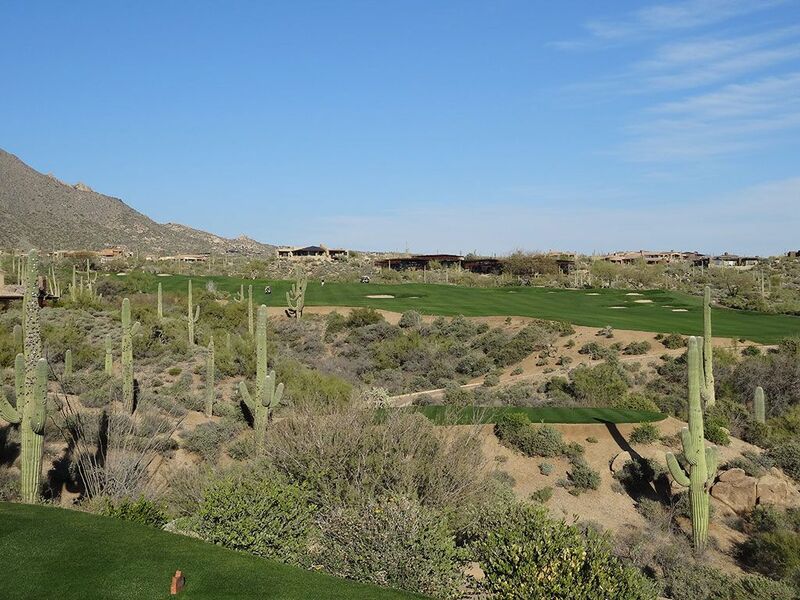 One of the most visually stunning and intimidating courses of the collection, Geronimo features dramatic elevation changes, stunning boulders, natural desert washes, and an incredible collection of majestic saguaro cactus' throughout the property. The generous fairways make for kind landing areas off the tee while the forced carries into the greens are generally given an alternative route that is more forgiving. 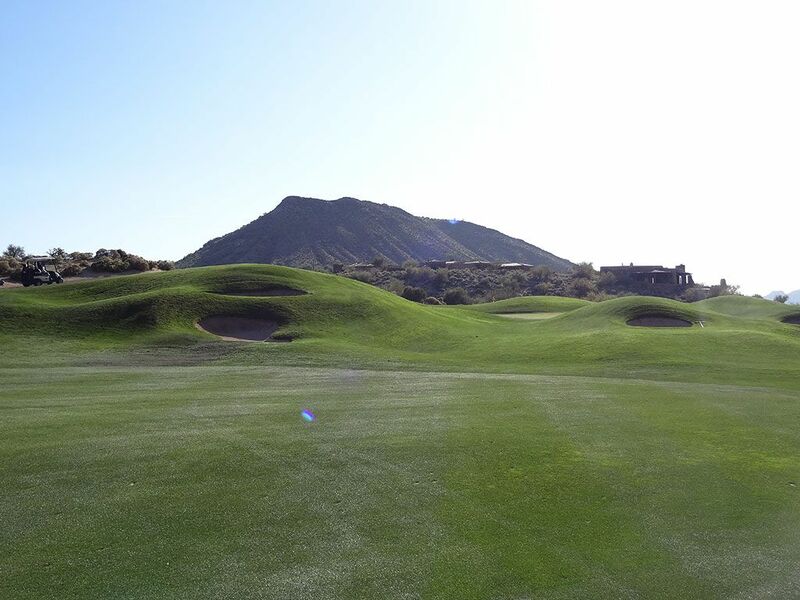 Geronimo draws the most comparisons to the newer and equally dramatic Chiricahua course that is often anointed as Desert Mountain's premier track. Conditioning from tee to green is fantastic and the winter overseeding keeps the course looking beautiful with the deep green grass against the desert landscape. 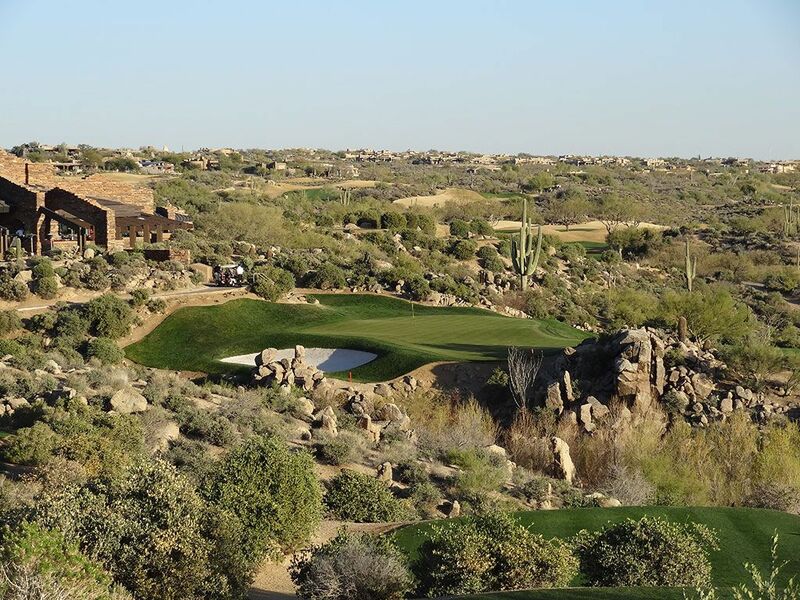 The most unique feature of the Geronimo course is the finishing hole; a postcard worthy par three over a canyon to a smallish two tiered green surrounded by bunkers and boulders. It is fun and attractive finish to a truly impressive golf course. Signature Hole: 1st Hole – 582 Yard Par 5 – The Geronimo course opens with a rousing par five that features an elevated tee and views for miles and miles. A bushy tree sits in the middle of the fairway while a desert area packed full of foliage encroaches in further up on the left side. The fairway doglegs left and out of sight from the tee before climbing uphill to the green. 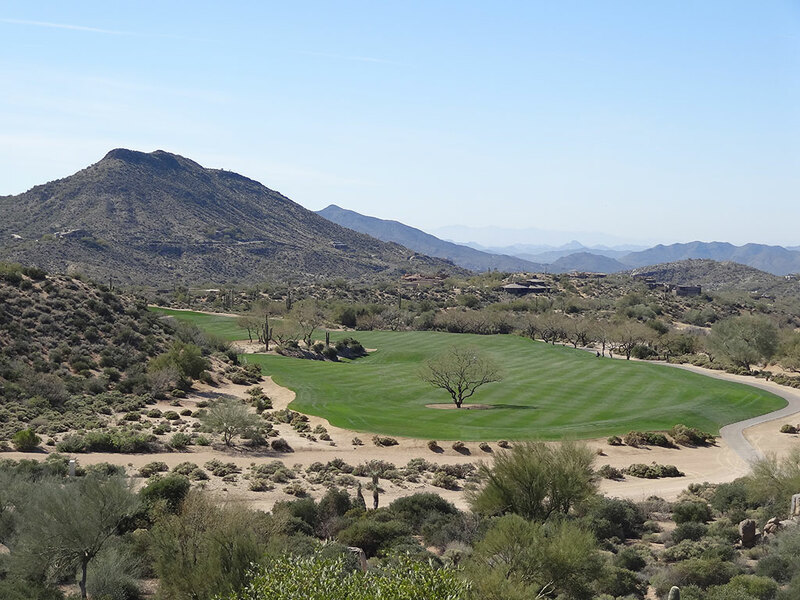 With the exciting elevation changes and expansive views, the opening hole at Desert Mountain's Geronimo course quickly sets the tone for the rest of the round. Best Par 3: 18th Hole – 197 Yards – Few courses finish with a par three, and the ones that do generally only do so because they have compelling terrain to work with which is exactly the case here. 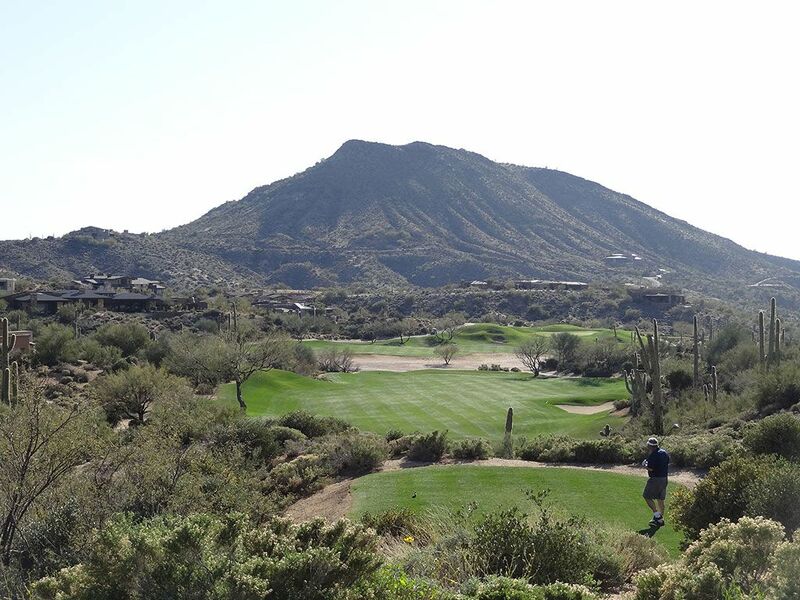 With rock formations and saguaro cactus' surrounding the green site, Nicklaus designed an aesthetically pleasing one-shotter with an undulated putting surface that can provide an exciting, or heart-breaking, finish. Best Par 4: 16th Hole – 497 Yards – I'm often enthralled with a hole that seems unassuming off the tee before exposing the second half of the hole and delivering a heavy dose of eye candy to absorb. Famous examples of this are the 4th hole at Bandon Dunes, the 8th hole at Pebble Beach, and the 3rd hole at The Country Club in Brookline. Geronimo's version of this comes at the 16th where after a mundane tee shot players see the hole unfold with a drop down over a natural desert swath to a well bunkered green. 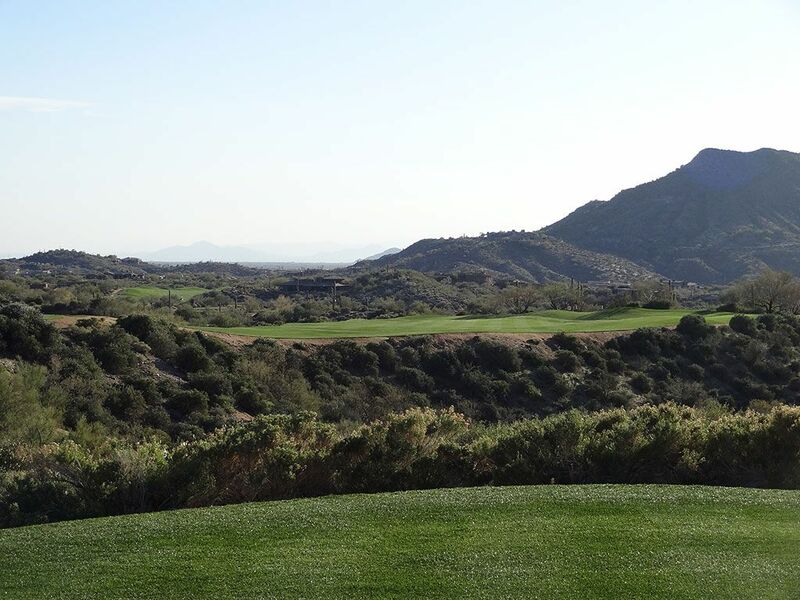 With views of mountains, mesas, and desert from the elevated fairway, the visuals are a motivating sight before hitting one of the most exciting approach shots of the day. Best Par 5: 12th Hole – 564 Yards – With a wide desert wash running through the middle of the hole, players are asked to hit a tee shot as long down the fairway as possible without reach the sand. The second fairway turns to the right away from the golfer and climbs uphill to a green surrounded by hillocks peppered with pot bunkers. The hillocks around the putting surface are tall enough to block the view of the putting surface from most angles on the second fairway. Successfully reaching the green in two will likely be the result of a fortunate bounce whereas an unlucky kick could leave players with an awkward pitch on their third shot. Visually and strategically it is an engaging hole and Geronimo's finest par five. Birdie Time: 15th Hole – 510 Yard Par 5 – At just 510 yards from the back tee, the 15th hole becomes all the more reachable in two due to the fact that the fairway runs at an angle and allows players to cut some yardage off with an aggressive tee shot. A solid tee shot up the left side can leave a long iron into the green and thus an excellent chance to score well. Par or worse here will be an opportunity missed. Bogey Beware: 2nd Hole – 489 Yard Par 4 – At nearly 500 yards the 2nd hole at Desert Mountain's Geronimo course delivers a strong punch to players early in the round. 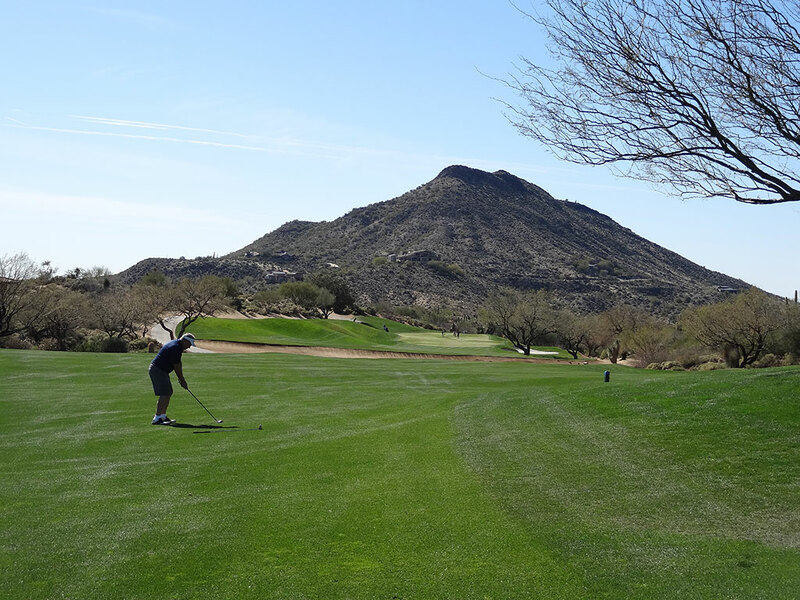 After delivering your tee shot, players are faced with an approach shot over a desert wash to a slightly elevated and deep green. Letting your second shot tail to the right has a high likelihood of finding the greenside bunker and a sand shot to the shallow length of the green. Getting out of this hole with a par would be a great kick start to your round.